One should savour the time spent with family - to the maximum. And this always flows into the design of our boats. One result of this approach is areas for relaxing. Our yachts therefore don't have just any bathing platform, but the biggest on the market. Incidentally, bathing platforms are standard with BAVARIA: for enjoying water activities together, for chilling out - in short, for moments of relaxation and enjoyment. Our team of engineers, designers and boat builders have designed the luxurious saloon of the BAVARIA CRUISER 41 to be multifunctional. And they've added clever details for the ultimate in comfort. It has a huge table, lots of elegant solid wood and is illuminated by LED ambient lighting and a large number of skylight windows. Another detail: in the 3-cabin version illustrated here, the saloon has a corner with a chart table where you can plan your course at leisure. In this large space you feel as if there are several rooms in one - thanks to German engineering. 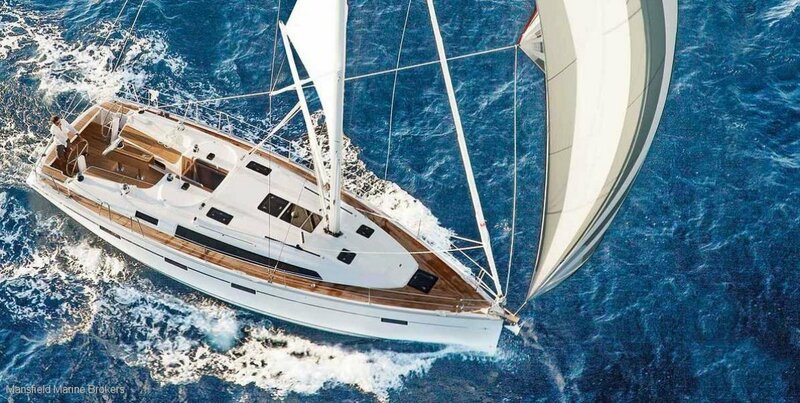 Year:	2019 Designer:	Bavaria Yachts Builder:	Bavaria Yachts Length:	40? 6? (12.34m)Beam:	3.96mDraft:	2.05mDisplac ement:	8.6 TonnesKeel/Ballast:	2,736 Kg Cast iron keel as deep keel *(Optional: Shallow Keel)Hull Material:	Fibreglass/GRPDeck Material:	GRPEngine:	Single Volvo Penta Saildrive D2-40 (29.1 kW / 39.6 HP) *(Optional: Volvo-Penta Saildrive D2-50 (37.5kw / 51 HP). Engine Make:	VolvoHorsePower:	39.6 HP *(Optional: 51 HP)Fuel Type:	DieselPropulsion:	3-Blade Fixed *(Optional: Folding propeller, 3-blade)Thrusters:	*(Optional: Bow thruster 80 kgf, Electric incl. Operating battery)Fuel Capacity:	210 LitresWaterCapacity:	210 Litres *(Optional: Additional water tank in foreship 150 Litres)Galley:	LAYOUT: Double stainless steel sink, 'Brown stone' laminate Worktop. Electric pressurised water pump with filter.